The trip is planned and everyone is excited! Well…almost everyone. A cross-country trip in an RV may sound like an adventure for some, but being out of touch with friends can be a major problem, not to mention having to put up with that annoying little brother or sister for hours at a time. For those who may not really want to hang out with the family, here is a list of the top 5 RV must-haves to ignore your family and survive the week without going crazy. Whether it is a Gameboy or PSP, bring the portable gaming device. Bring enough games to keep busy for a couple of hours at a time. Make sure to pack the charging cable too. And it is a good idea to bring extras of any small attachments that may go missing. Games are a great way to have some fun while trapped in the RV with the rest of the family. If possible, bring games that annoying siblings might enjoy and let them play once in a while to keep them happy, and out of your way. This is also a great way to make it look like you are spending time with them without actually having to do anything. Paper books are great, but for a long trip there is no way to bring enough. An eBook reader solves this problem as it will hold hundreds of books. Plus, new ones can be added along the way! Parents love to see kids read and won’t nag as much about playing with the rest of the family when the eBook reader is being used. There are also games available for many of these devices. Some readers, such as the iPad, can be used to connect to the internet. This connection provides access to Netflix as well as social network sites such as Facebook and Twitter. Keeping in touch when WiFi is available is no problem. As with all the other devices, be sure to bring the charging cord. A cell phone is a must have to keep in touch with everyone who is actually having fun. Make sure the phone has an unlimited texting program. This is a great way to keep in touch, but don’t overdo it as parents may take the phone away to encourage teens to talk to the rest of the family. There is also the problem of service. There are many places between major cities where there is no cell service, so have an alternative option ready to keep busy. An MP3 player with headphones is a must. Load up some great songs and tune out the rest of the world whenever needed. Most players are small enough to fit into a pocket and bring along for the family hike or whatever else the parents have planned for the day. Don’t turn the music up too loud though. The parents may decide to take it away to preserve long term hearing. Bring an extra DVD player and some age-appropriate movies to keep everyone happy. There is nothing worse than having to watch the same movie that the 6 year old wants to watch again and again. This is also a must even if an iPad is brought as wireless and internet access may not be available everywhere. Bring enough movies to watch a different one each day if possible. Make sure the headphones that work for the MP3 player also work in the DVD player so there isn’t a problem with hearing the movie. This is a great way to relax after a hard day of RV fun. All of these electronic devices are great and will make the trip bearable, but don’t forget the charging attachments. There is nothing worse than losing power three days into the trip and the rechargers are not often interchangeable. Put all of these extra wires into a small bag so they are together and easy to get at. If possible, bring headphones that block out the surrounding noise instead of standard headphones that don’t. Bring a backpack that zips closed to keep all of these important items close and safe from siblings. These top 5 RV must haves to ignore the family will help make the trip more bearable, but don’t overuse them. Spend some time interacting with the parents and the rest of the family to keep them happy or they may decide to make it an electronics-free ride. U.S. symbols, historic landmarks, and all other things quintessentially American inspire patriotism and a sense of pride for our great nation. For a kid, there is no better vacation than a family road trip across the US to experience all that America has to offer. Exploring America is a great way for kids to learn about American history and to put them up close and personal with U.S. symbols and historic landmarks. This is a great way to combine a vacation with a fun and educational experience that puts a lot of emphasis on American history and a sense of our country’s origins. This is also a fantastic family bonding experience, a way to get in touch with American patriotism, and something to see, do, and learn instead of just sitting at home during summer vacation. The following article takes a look at some famous U.S. symbols and American landmarks and might just inspire you to head out on the open road with your family! While America as a country may only be 235 years old, its majestic and captivating symbols have already gained worldwide status as symbols that stand for freedom and liberty. Some symbols like the bald eagle, the flag and the U.S. national anthem are recognized around the world. The bald eagle does not only look strong with its curved beak and its sharp eyes, but it is also the national bird of the U.S. America’s Founding Fathers were excited about comparing their new country to the Roman Republic, which also used eagle imagery in a significant way. The American Flag has 50 stars that stand for the U.S.’s 50 states, while the Flag’s 13 stripes stand for the 13 colonies that defied the British Crown. The Star-Spangled Banner is the U.S.’s national anthem, and its words come from Francis Scott Key’s 1814 poem that described the bombing of Fort McHenry by the Brits. During a road trip, parents can find no better place than to put kids in direct touch with the Star-Spangled Banner than by taking them to a baseball game. A big part of America’s history has also been the famous and exceptional Americans who have contributed to making the country’s history rich and memorable. Famous American people have been as integral to the history of America as its famous symbols and landmarks. One of the best places to start with famous Americans is the list of famous presidents, some of whom have had a huge impact on the course of the country and really changed its direction. Abraham Lincoln—whom kids can easily identify by his beard—was the first Republican president, and he is credited (as is the Republican Party) with ending slavery through his leadership in the Civil War. Other famous American people are not necessarily people per se, but more like personifications or symbols of America. In the case of Uncle Sam, for instance, Uncle Sam is not a real person, but is represented in pictures as an old, stern man who personifies the U.S. government; Uncle Sam has been used to recruit for the military. In a country with a huge surface area like America has (3.79 million square miles), there will be a lot of space for a whole bunch of neat landmarks. Famous and impressive American landmarks appear all over the country and in many states, which makes a road trip the perfect way to see all neat sights. Take Mount Rushmore (actually Mount Rushmore National Memorial), which is found as far north as South Dakota, is not only a world-famous tourist attraction, but it also is an ideal way to combine a history lesson with an impressive sight to see. The mountain features a sculpture of four U.S. presidents carved right into the granite rock face: Abraham Lincoln, George Washington, Theodore Roosevelt and Thomas Jefferson. Of course, the most famous landmark has to be the White House, which is located in Washington, D.C., and it is the seat of power for the whole country, if not for the entire free world. Another appealing U.S. landmark to view during a road trip is the famous Golden Gate Bridge out in the West Coast city of San Francisco, which is one of the longest suspension bridges in the U.S. and has been called one of the most photographed bridges on the planet. Road warriors are accustomed to hunkering down in some unusual places. Wal-Mart parking lot? No problem. In a random guy’s driveway? Even better. We can get forty winks anywhere, anytime. But have you ever stayed in one of these wacky, outrageous, and totally strange locales? From odd RVs and weird RV parks to the just plain uncomfortable, our list of the 31 strangest places to sleep makes dozing off on a park bench seem perfectly normal. You’ve been asking for years: “When are they going to make an RV that floats?” For 1.2 million dollars, you can take to the high seas in your Amphibious RV, where you can fish all day from your couch. Want to sleep strange? Curl up in this tour bus – it’s like a frat house on wheels. We recommend not being the first person to pass out. Settle down for a nice nap in this camper. It might be bumpy, but getting your friend to pull you along while you snooze in the back is worth the rough ride. We hate to see what happens if he gets rear-ended. It’s the third wonder of the RV world (right behind Kadie the Cow and Corn Palace. The RV Taj Mahal stands five Winnebagos high and features 8 satellite dishes, 32 lawn chairs and a flock of plastic pink flamingos. Running water coming soon. Yabba-Dabba-Doo! Rock out like Fred and Wilma at the Bedrock Campgrounds in Williams, Arizona. Salvation Mountain in California is a strangely beautiful (albeit garish) tribute to Jesus. It’s said to be one of the only RV campgrounds left that are completely free. Leonard Knight, the eccentric creator of Salvation Mountain, will happily give you a tour. Claim to fame: This strange place to sleep was featured in the 2007 film Into the Wild. Think you’ve seen everything on your travels? Think again. Sleep in the buff in a pine bluff at the Pines RV Park. Don’t worry about closing those blinds. Naked is normal! Bring your RV and camp with Yogi and Bobo! Surprisingly, Jellystone Park locations stretch across the country, making them the second largest campground franchise in the United States. Sleeping in the Wal-Mart parking lot is a rite of passage for road warriors. But it’s definitely strange to those who have never RVed before. That’s not the only unusual thing about this RV Park. It’s surrounded by glaciers, kiwis, kayaking spots and near the highest peak in New Zealand. Pokrovskoye, Siberia the hometown of Grigori Rasputin. In Siberia you can camp anywhere on the side of the road, but there is apparently lots of trash, and sometimes isn’t very safe. So lock your RV door! Sportsman’s RV Park in Libby, Montana is haunted. “It is said that many aimless souls lost their lives waiting for work at the site, camping in the woods when they could not afford a stay at the Inn. There is also a tale that every spring, thunderstorms bring about the shadowy figure of a ghost that wears a hooded poncho as he floats above the ground.” Boo! Antelope Island, in the Great Salt Lake, Utah. It’s an island. With buffalo. In Great Salt Lake. The chances that you’ll wake up to a beast that’s almost the size of your RV makes this one wild locale and worthy of our sleep strange list. Take a rest under the protective eyes of Jolly Green Giant. Boondock for 48 hours at the Blue Earth, Minnesota fairgrounds. Wake up refreshed and craving green beans. People wait their entire lives to hitch up at turn four of The Great American Race. Bring the earplugs – stockcars whiz by turn four at over 150 miles per hour for 200 laps. Established in Starke, Florida since 1948, Camp Crystal Lake is known for its canoeing, rope climbing and camp counselor slaughtering from a machete-wheedling maniac. One would think being associated with the camp from the Friday the 13th horror franchise might hurt business, but camp directors say attendance only falls a few brief weekends a year. Strange things happen out in the desert in the middle of the night. You’re practically guaranteed one weird experience, whether it’s a UFO landing on your rooftop or meeting the Mafia. Llanfairpwllgwyngyllgogerychwyrndrobwllllantysiliogogogoch, Wales. Fall asleep counting letters and counting sheep in the town with the longest place name in Europe. You’ll live to tell the tale. But you will never be able to pronounce the name. Fantastic views; not awesome parking. Bring a deck of cards because you’re not doing much else when you make it to the top of this Wile E. Coyote cliff. And you thought sleeping in an RV was cramped! Wait until you try the Sleep Boxes in the Dubai Airport. These 12′ x 9′ x 15′ walk-in coffins offer WiFi, an LCD TV and nearly enough headroom to stand. Think you’ll doze delightfully in a capsule? How does sleeping in an oil rig survival pod float your boat? This hotel in The Hague is not for the claustrophobic-aquaphobic. You may have fallen asleep in church before (be honest! ), but that doesn’t count. Touted as an “uplifting experience,” the Old Church of Urquhart in Scotland is one sacred place to dream. Bunker down on top of the “door to hell” in Uzbekistan. You won’t need a blanket. 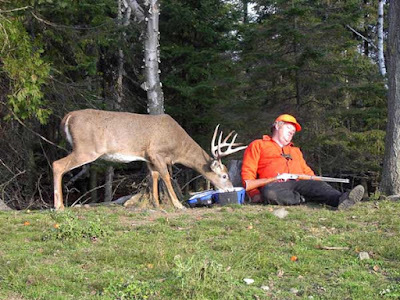 You should decide early on if “hunting” means actively looking for animals to shoot. Or catching a wink while an animal preys on your lunch. It’s not an RV. But a rickshaw makes a good napping place. There’s nothing like a good nap after a hard day’s play. You’ve heard of the beagle that snoozes on top of the dog house. But did you know you can conk out inside of a giant beagle? Check out the light saber zipper! Slice open your favorite creature from Hoth and crawl into the intestines imprint liner.. Now you can finally find out how bad they smell… on the inside. Sack out inside a submarine. It’s pitch black. Pretty cold. Probably boring .The perfect place to sleep! Don’t toss. Or turn. Just stay completely still. Does Your RV Need a Digital Converter Box?Does Your RV Need a Digital Converter Box? The switch to digital television has been post-poned until June due to federal regulations, but now is the time to figure out whether or not new equipment is needed for your RV. Many RVers have expressed confusion regarding the switch to Digital TV; wondering whether the Digital TV conversion will affect them or not and whether or not they need a Converter Box to receive TV using their RV’s antenna. Excel’s goal is to make the miles you travel more enjoyable and television can certainly be a part of this enjoyment. The following article addresses the issues surrounding the switch to Digital TV for RVers. If you currently do not have a TV with a digital tuner in your RV, after the Digital TV conversion you will not be able to receive any stations when using an antenna, all you will receive is static (snow) on the screen. If you are at a campground with cable TV, you will be able to receive TV, whether your TV has a digital tuner or an analog tuner. The government required that all TVs sold after March 1, 2007 have digital tuners. An RV model manufactured and purchased before March 1, 2007 more than likely will have televisions manufactured before then, thus without a digital tuner and unable to receive a digital signal after June, 2009. Many RVers are confused by their RV being classified as, “cable and internet ready.” If your RV is said to be “cable and internet ready” this does not necessarily mean it is Digital TV ready. It simply means that the cable and wiring to hook up television and internet were pre-wired into the RV when the unit was constructed. To find out for sure, locate your RV owner’s manual or owner’s manual for the TV or TVs in the unit; the manual will tell you specifically whether or not your motorhome television is equipped with a digital tuner. If there is nothing in the manual regarding a digital tuner you will need to install a Digital Converter Box. Digital Converter Boxes are available for purchase at many electronics stores, and super stores that sell electronics, with a price ranging from $40.00 to over $100.00 depending on added extra features. Digital TV Conversion doesn’t have to be a hassle and the sooner you get your RV squared away with a Digital Conversion Box or determine if your RV is currently equipped for Digital television the sooner you can enjoy RV travels worry-free. Whether you’re looking for entertainment for long hours on the road or to find inspiration for your next asphalt adventure, try tuning into one of the many RV podcasts for tips and tricks from the most seasoned road warriors. What’s a podcast? Podcasts are digital media files shared on a website or audio store, and are typically audio spoken tracks. Think of it like recorded talk radio, without commercials, and you can pause and play it whenever you’d like. While the iPod lead to the eventual rise of recorded audio tracks, podcasts are not restricted to iPods or Apple products. Whatever audio device you use, these RV podcasts will give you endless entertainment as you drive off into the sunset. Barb K. hosts her experiences as a full-timer as she travels the country in her 32′ Winnebago. The “My RV Life” podcast covers everything from RV products and vehicles to RV events. Unfortunately, Barb hasn’t updated her podcast since 2008, but you will still find many hours of savvy RV entertainment that you won’t want to miss. This bi-weekly podcast hosted by Tim Shephard and panelists Colin Hyde and Rob Baker is the best podcast around for Airstream enthusiasts. Join the VAP for exciting vintage RV talk that ranges from road trips to floor rot. If you’re looking to purchase or repair a vintage Airstream RV, this podcast is a must! Hit the road with John and Kathy Huggins as they bring you into the world of living the RV dream. These full-time RVers started “Living the RV Dream” as a weekly radio show out of Sarasota, FL, and now report their adventures in podcast form when they take their extended trips out West. Tune in for their exciting personal stories and fantastic RV events from around the country. American RVer is a monthly video podcast, bringing you the best of RV television right to your iPod. You might not be able to watch it while you drive, but each free 20 minute podcast is packed full of entertaining info that every RVer should know. Check out the September episode for an inside look at Monaco RV’s new motorhome design of the Vesta. The digital home for RVers. Join Ken and Martha as they spin yarns from their many adventures in RVing. These asphalt experts have traveled to 49 states in their RV, and spend up to six month of every year on the road. They know their stuff. If you have any questions about RVing technology, or you’d like to share your RV travel tips, contact the RV Navigator or call (815) 230-0772, and your comments might make it on the air. RV road trips can be long. Really long. So long that some road trippers (and their kids) can start dreading the journey before you ever pull out of the driveway. No longer! These seven thrilling travel games keep the mind nimble as you ride the road…and keep riding…never stopping. Using storefronts, billboards and road signs, use the letters to piece together the alphabet (in the right order, of course). Signs are only valid for one letter at a time, and the sign must pass that player’s side of the RV (if you’re the driver, focus on anything that you pass to the right). For example: the Applebee’s sign counts for the letter A, the state sign for Arizona earns a point for the letter Z, and a detour sign will work for the letter D. Don’t worry: in the case of the detour we have six other travel games up our sleeves. This travel game is for teams or solo players to find as many out-of-state license plates as possible. Once someone claims an out-of-state plate, that state is off limits. Restart the list every time you turn off the RV, or raise the difficulty by keeping the same list all vacation trip long. Special points for license plates from Alaska or Hawaii. An easy game to make even the youngest road warriors squawk. Players count as many crows as they can that are visible on their side of the car. To pump up the difficulty, if you pass a cemetery on your side of the car, other players can yell the phrase “your crows are buried” to make you start back at zero. Using distractions to make your opponents miss crows or cemeteries is highly encouraged. The team or player with the most crows at the end of the trip wins. Pick an object or building along the road and ask everyone in the RV to guess how far away that object is. Use a GPS or the odometer to figure out the distance. Take turns picking the next thing to measure. When you’re sitting in traffic, look for a hybrid vehicle, like a Toyota Prius or a Honda Insight. Once you find one, use a stopwatch to count off 45 seconds to search for another hybrid vehicle. If you find two hybrids in 45 seconds, you’re in an eco-friendly town. Count how many eco-friendly towns you pass through along your trip. Ghost is to spelling as Horse is to basketball. One player starts by saying a letter out loud. In clockwise order around the RV, other players take turns adding letters on to the original letter, trying to spell the longest word possible. If a player is unable to add any more letters onto the word, that round is over, and the player receives a letter from the word G-H-O-S-T. When a player spells ghost, that player is out of the game. The winner is the last un-ghostly speller in the RV. This is a fun contest for anyone who knows pop-culture. Players go one-by-one around the RV naming two drastically different people that share either their first or last name. Example: former First Lady Barbra Bush and New Orleans Saints running back Reggie Bush (Bush and Bush = same name. Get it?). The player to find the pair of names with the least in common wins giggles and high-fives. There are few members of Hollywood’s elite who have had such long and illustrious cinematic careers as the RV. Dame Maggie Smith, maybe, but the RV has essentially eclipsed every star of the silver screen. The RV transcends genres. It triumphs over typecasting. It only looks better as the years pass: it celebrated its 100th birthday this year, and the RV is more luxurious than ever. The RV is an old and noteworthy cinematic staple, one who looks equally good in Technicolor and in Hi-Def. The best part: it’s not going anywhere. Keep your eyes peeled for a Winnebago coming soon to a theater near you. For a malcontent like Warren Schmidt, nothing could beat cruising cross-country alone in the RV he and his recently-deceased wife purchased to try and stop his daughter’s wedding. It’s not until his return journey that he realizes that while he is utterly unsatisfied with his life, his dedication to a young Tanzanian boy he financially sponsors is a beacon on a lifetime’s worth of desolate, empty road. Movie lines that should have been: There’s nothing quite like a solo road trip to realize you’re completely alone in the world. Movie: A Finished Life: The Goodbye & No Regrets Tour(2008)After 24 years of intensive drug therapy, Gregg Gour, who is HIV positive, decides to stop treatment and live out the last six months of his life travelling across the country: just him, his dog, and his Class C RV. It’s not as depressing as it might sound: Gour is all about living life to the fullest. Movie lines that should have been: Hitting the open road ’til he runs out of gas. Albert Brooks and Julie Haggerty abandon their pent-up corporate lives to travel cross-country and live the life of Easy Rider. But, after losing all their money in a fateful game of roulette and learning that “real life” isn’t quite as fun as in the movies, they head back to NYC. The grass, it turns out, is always greener on the other side of the tow hitch. Movie lines that should have been: If Dennis Hopper could do it, how hard can it be? Bob, who is losing touch with his once-close family, tricks them into going on a business trip disguised as an RV adventure. Pile in kids! Shenanigans ensue, including (but not limited to): a damaged parking brake, running over cars and shopping carts, a raccoon infestation, a clogged sewage system, car chases, and the RV sinking in a lake. But in the end, family wins. Of course. Movie lines that should have been: Any time there’s an RV is about to fall off a cliff, you know it’s gonna be good. Instead of buying a house, a pair of newlyweds (he a traveling civil engineer, she a blushing bride) hitch up to a 40-foot New Moon trailer and travel together. As luck would have it (and as any movie featuring Lucille Ball could predict) the couple barely makes it through their RV honeymoon. Cooking dinner in a moving trailer: check. Nearly driving off a cliff: check. Comedy gold: check, check. Movie lines that should have been: If the husband can’t come to the home, bring the home to the husband. Would Robert De Niro as Jack Byrnes drive anything less than the finest RV on a road trip to Florida? Two woefully mismatched families try to bond for the sake of their soon-to-be-wed kids. Bohemian meets bourgeois and shenanigans ensue. No RV is spared. Movie lines that should have been: Mine’s bigger. And shinier. Movie: National Lampoon’s Christmas Vacation(1989)Nothing ruins family Christmas more than your backwoods, dilapidated-RV-lovin’ cousins. Cousin Eddie & Co. rolls in for Griswold family celebrations in his beat up, rusted out RV. Eddie is not the savviest road warrior (he empties the holding tanks into the Griswald’s storm drain) yet he has spawned a whole generation of cult followers, complete with RV Christmas ornaments, T-shirts and figurines. Favorite Quote: That there’s an RV. Replete with GPS, map-graphing capabilities, territorial dinosaur patterning, satellite phones, night vision goggles, lab table, computers, seat warmers, and a small refrigerator, there is nothing this super-RV can’t handle. Except a family of T-Rexes… those could be a problem. Movie lines that should have been: RV, meet T-Rex. It’s the end of the world as we know it… Crop duster and former Vietnam fighter pilot and alien abductee, Russell Casse, rounds up his three children to flock to the Nevada desert as aliens destroy major cities around the world. It doesn’t matter what this RV can do, as long as it can go somewhere else. Movie lines that should have been: Don’t make vacation plans for August. It’s all fun and games until a night-vision goggled, machete-throwing crazy arrives. Seven friends think heading to the backcountry in a vintage RV will be the trip of a life time. Spoiler: not all seven make it out alive. Movie lines that should have been: This is the road trip to hell. Movie: What Alice Found(2003)It’s a coming-of-age story, and one that doesn’t come easy for Alice. Fed up with small-town life and an embarrassing family, she hits the road. Bill and Sandra, a couple celebrating retirement RV-style, seem like the family she always wished she had. That is until she realizes that Sandra is actually a prostitute who Bill drives around to various truck stops. As Sandra says: everybody’s gotta pay the bills. Your old family isn’t looking so bad now, eh Alice? Movie lines that should have been: An RV is more than a place to sleep. In a not-too distant galaxy, Princess Vespa is kidnapped by the evil Spaceballs. Lone Starr: you’re her only hope. Sound kind of familiar? Favorite Quote: We’ve gone into plaid. Movie lines that should have been: That’s no RV. That’s an Urban Assault Vehicle. *This message is not endorsed by the US military or any of its affiliates.